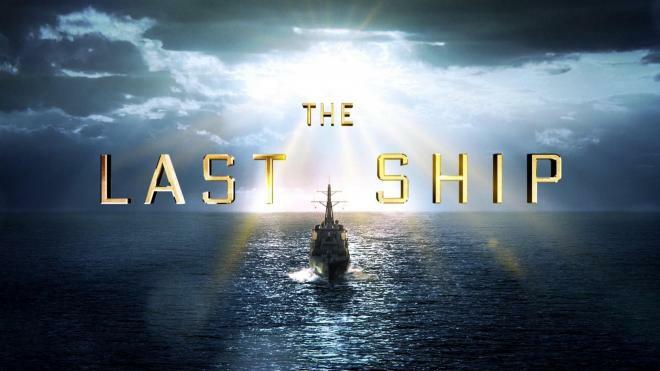 TNT's Action/Drama The Last Ship puts to port in the fifth and final season. Always reliably entertaining, the show comes to a fitting conclusion as the crew of the U.S.S. Nathan James fights to prevent the full-scale invasion of the United States by a Columbian Dictator. It's big dumb action fun that provides plenty of action with enough human drama to keep the characters interesting. 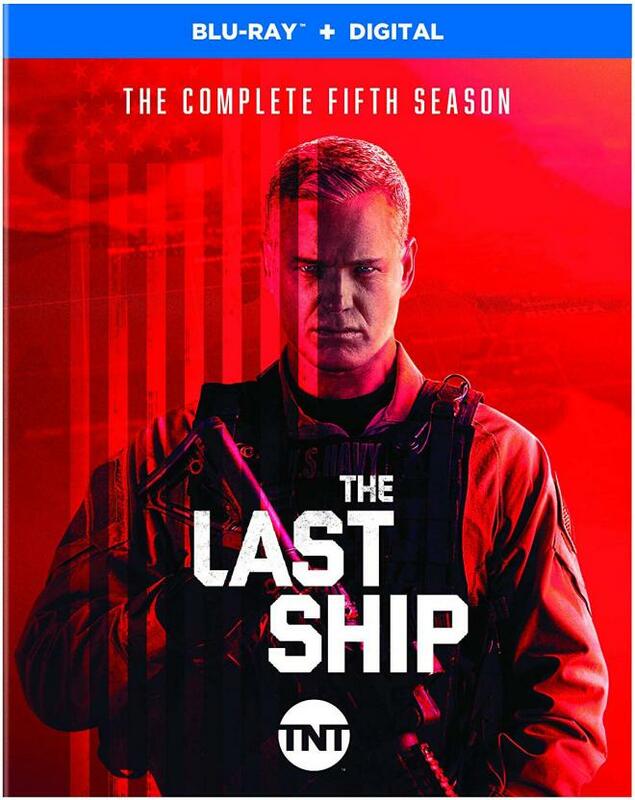 Warner Bros. brings The Last Ship The Complete Fifth Season to Blu-ray in good form sporting a strong A/V presentation for each episode. Bonus features are a bit slim considering the fan love for this show. At the end of the day, if you loved seasons 1-4, you'll enjoy what Season 5 has to offer. Recommended. After stopping a plague, putting up with some evil people trying to take over the U.S. government, and ending a global famine. They've done a lot in a short amount of time and they're due for a break. Three years later, the world is moving along - almost back to normal. But when a cyber-attack takes down the U.S. early warning systems and the newly commissioned navy is decimated in a sneak attack. Retired from active duty Admiral Tom Chandler (Eric Dane), will have to put on the uniform one last time to put an end to a mad Columbian dictator's ambitions for control of the Americas. When I sat down to review The Last Ship Season 1, I wasn't expecting a whole hell of a lot from it. Knowing it was produced by Michael Bay, I expected a lot of heavy-handed knuckle-headed jingoistic pandering, but I was thankful to find out that the show had pretty square shoulders and had a pleasant mix of action with well-written characters and a decent amount of human drama tossed in there. Season 2 kept things lively and entertaining while pushing the show forward. Even though I didn't get to review season Three or Four (we never got screeners) I kept up with it and I still enjoyed it - but you could feel the show stretching its premiss thin. 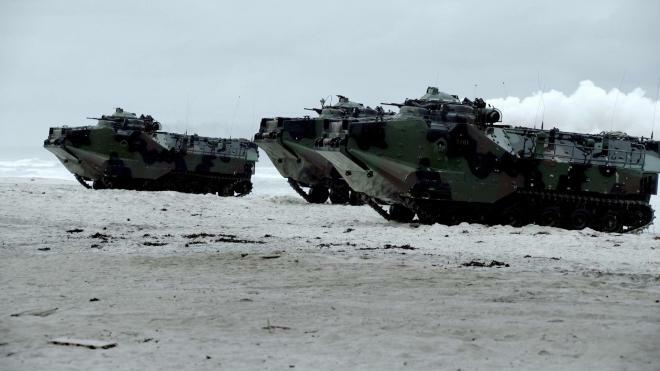 How many times can one small outgunned naval ship keep coming out on top in outmatched warfare while the same batch of special forces guys and gals keep mowing down untold numbers of bad guys? Season Five is more of the same but with some nice new twists in the mix. 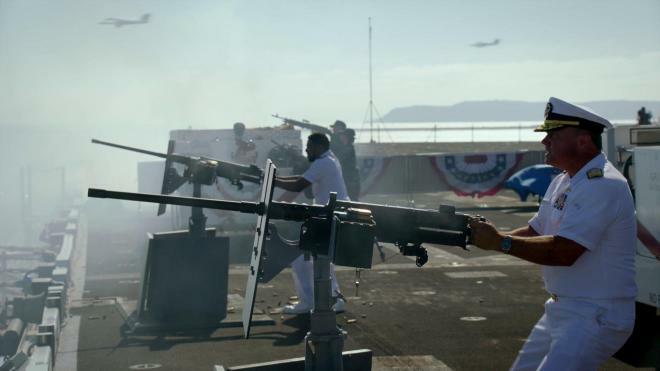 Pushing the timeline forward a couple of years gives the story some breathing room between tragedies that the same crack crew of a single U.S. Navy ship must deal with against impossible odds. 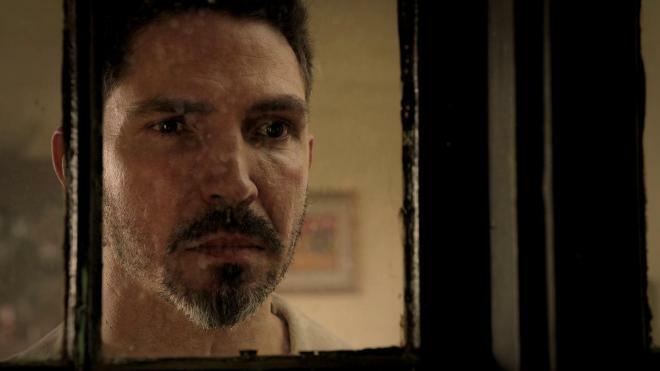 It helps that Maurice Compte delivers a committed dictator Gustavo Barros whose own and ego harms his grandiose ambitions. Think Hitler meets Pablo Escobar. The plot may be a little better than Red Dawn, but it's fun and engaging. On top of that, the show does take some time to stop and meditate a bit on the very real problem of combat fatigue, not only with the people fighting the war but those left behind at home. It's not profound material, but it's above average for a show of this sort. While I wish I could say that this show goes out with a bang, I do have to warn that the final episode is the most unsatisfying of the season. It pushed through so much so quickly that everything becomes a bit too convenient and then also feels unresolved. There were a lot of middling episodes and a couple of other nonsense plotlines that could have been cut to give this final episode a fitting climax. The episodes that work the best are the three Peter Weller directed. Having directed episodes in Seasons Three, Four, while playing a major character in Season 4, his episodes behind the camera in Season Five provided solid action spectacle with plenty of time for the characters to stop firing guns or cannons and be humans. When shows can be canceled on the spot without warning and unfinished, I appreciate that TNT had the foresight to shoot seasons 4 and 5 back to back and allow the show to come to a conclusion. It may not be the best ending or the ones fans may have hoped for, but it's a fitting conclusion just the same. 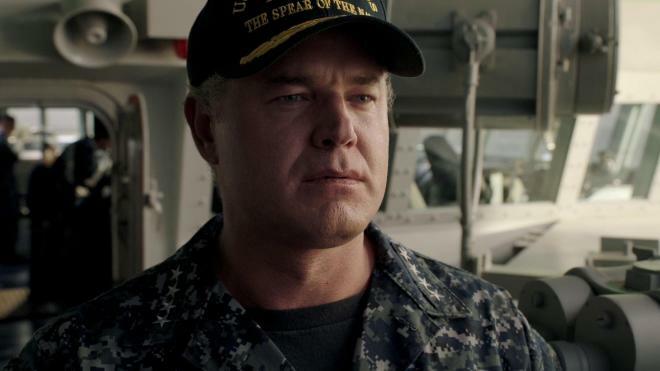 I enjoyed The Last Ship because it felt like a grownup adult version of the G.I. Joe cartoons I watched every day as a kid. It's entertainment for entertainment's sake. It's not meant to be a thoughtful somber - even though it tried to be a few times. It's about exciting combat tactics, fun characters facing impossible situations armed with really big guns, knives, sharp sticks with a healthy amount of flag-waving. For five seasons, The Last Ship succeeded in this mission. Warner Bros. brings TNT's The Last Ship The Complete Fifth Season to Blu-ray in a two-disc Blu-ray + Digital set. Pressed on two BD-50 discs, the discs are housed in a sturdy two-disc case with identical slipcover artwork. Also included inside is a booklet with a list of the episodes for the season. The discs load directly to static image main menus with traditional navigation options. Like previous seasons, Warner Brothers delivers strong 1080p 1.78:1 (even though the tech specs list 2.40:1) transfers for each episode. Details are sharp and strong giving a great amount of focus to facial features, costuming, and the intricate sets. Colors are robust with lively primaries with blues and reds getting a lot of pop. Yellows come into stronger focus anytime the action segues to Columbia. Black levels are nice and inky giving the image some nice depth and whites are crisp without unsightly blooming. The one gripe I have comes whenever there is heavy use of CGI. The effects work isn't cinematic grade and it shows. Softness in the effects plate is apparent so whenever there is a live human or practical set, things don't blend as neatly. This is especially apparent during night shots. All in all, it's not a big sticking point but when everything looks picture perfect one second and then looks like a late run Playstation 3 or X-Box 360 game, it's hard to ignore that drop in quality. Again, WB succeeds in delivering an impressive audio experience to The Last Ship with solid DTS-HD MA 5.1 audio mixes throughout. While there is plenty of action, some of the most suspenseful moments of the show is when they go stealth and have to be as quiet as possible - the atmospherics are terrific giving a sense of space and dimension to the tightly confined rooms of the ship. When the gunfire erupts, you can count on some impressive wall-to-wall surround activity. Dialogue is always crystal clear without any issue, and the series score helps round out the mix nicely. Levels are spot on so once you have them at a comfortable spot you can let it rip. Bonus features are a bit of a letdown. While the show wasn't a massive hit, it had a respectable legion of fans and this pair of bonus features just feels too slim and inconsequential considering it's the final season. The Tales from the Bridge is the longest and meatiest of the pair. It's nice to have a cast and crew focused segment that isn't a patchwork of tried and true EPK statements. Inside The Last Ship gives an entirely too brief look at the making of the final episode which would have been great to see a lot more expanded material out of. Such as it is, this isn't a terrible bunch of features, but I was kinda hoping for more considering all things. Five years is a great run for any show. Some aren't even lucky to get a final season or go on well past their born on date. The Last Ship did it right. While they easily could have pushed this show on for more seasons, it got out while it was still good and entertaining and the cast of core characters was still whole. The plot may be silly or unbelievable, but the whole series has been that way and it's remained solid entertainment bang for your buck. Warner Bros. sails The Last Ship off into the sunset with a great-looking two-disc set. The show still looks and sounds amazing one episode after the next. Bonus features may not be robust, but the cast retrospective is good material. If you're a fan of the show, you're going to want to have this one in the collection. Recommended.